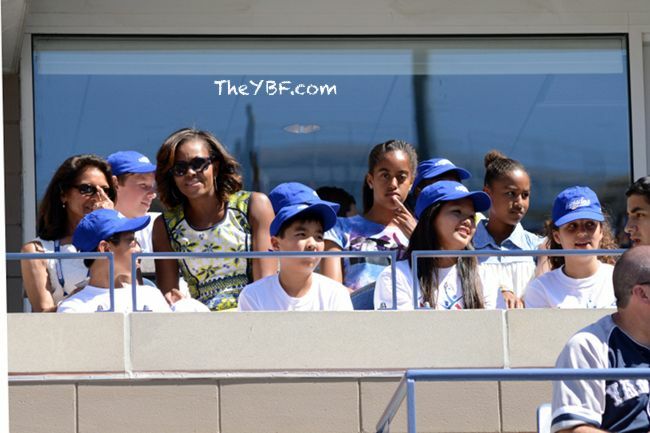 TENNIS LOVERS: First Lady Michelle Obama Takes Sasha & Malia To The U.S. Open For Arthur Ashe Kids’ Day! 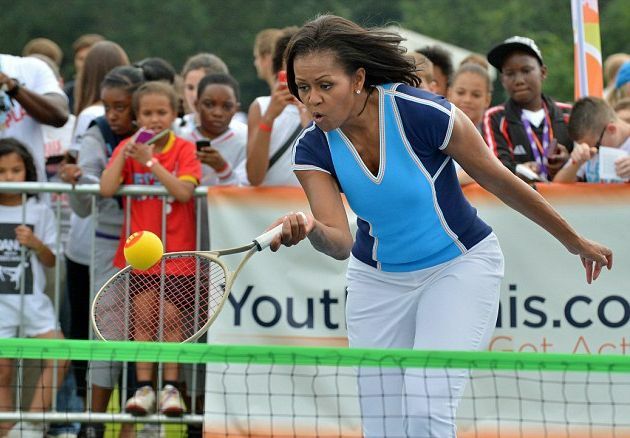 Michelle Obama is making sure the First Daughters are extra well rounded…and sporty. 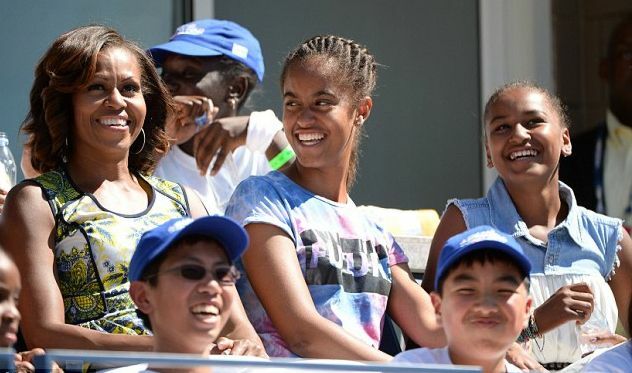 She brought the fab girls to the Arthur Ashe Kids’ Day during the 2013 U.S. Open Tennis Championships in Flushing, Queens Saturday. 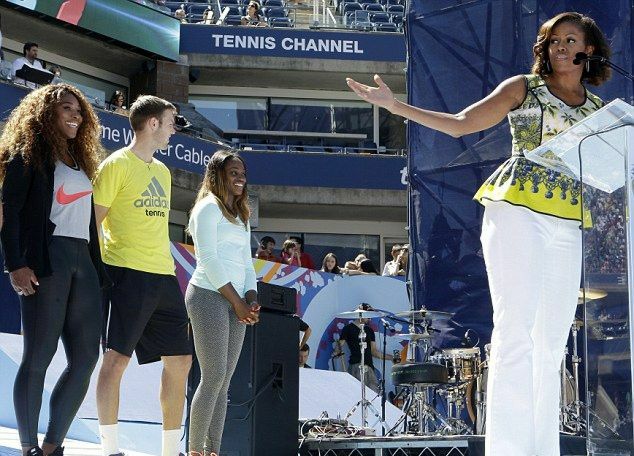 And YBF tennis pros Serena Williams, Sloane Stephens and plenty others were also there at the USTA Billie Jean King National Tennis Center in in New York City. The girls had some fun laughing it up with mom in the stands. So cute! Who’s Instagram you checkin’ Mrs. O? And Disney’s newest YBF star CoCo Jones was there with a huge racket to play some games. 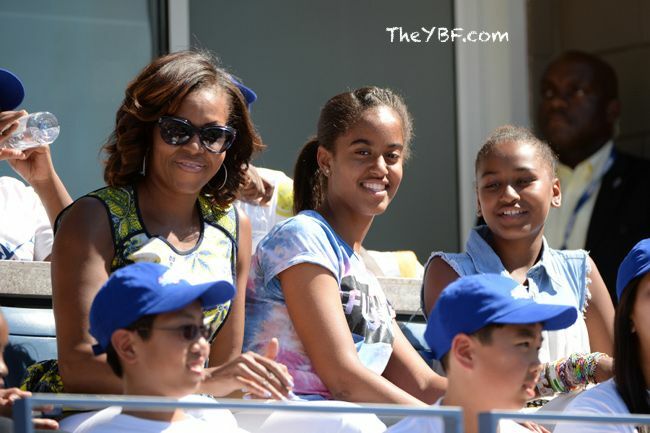 The Obama ladies hit up a Broadway show, Trip To Bountiful, Saturday night. Fun times. Print article This entry was posted by hhcblog on August 25, 2013 at 8:49 pm, and is filed under Uncategorized. Follow any responses to this post through RSS 2.0. You can skip to the end and leave a response. Pinging is currently not allowed.